Who said disc golf lacks action? 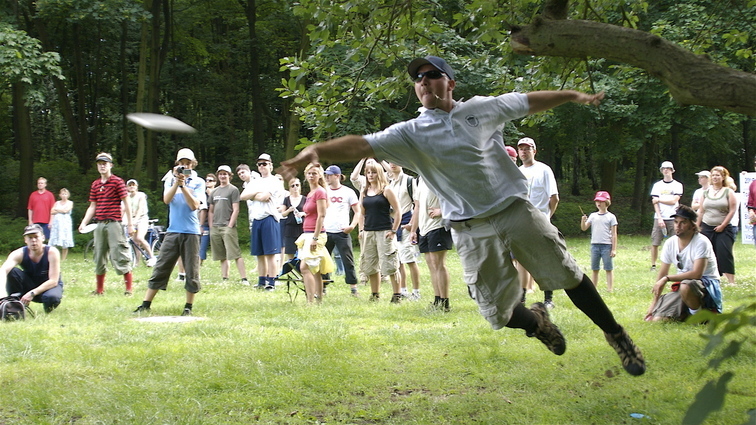 Toad McReynolds shows his jump putt skills on the way to victory in the 2007 Berlin Open. stressful posture to hold for longer time, i suspect... but great action-packed shot! I played the course in Sønderborg just a few weeks ago (I designed the course, by the way, but that's some years ago). PimpDaddy, lets meet for a round on a nearby course some day - are you located in Copenhagen or...? Great course by the way(Sønderborg)! I almost made a hole in one on hole 5(i'm not a 100% though). But I'm sure you've done that too ;). The photo has been viewed 1465 times.